What started out as research into the all-out final push for a completely "cashless society" to the point where they are now going after our nations children with the announcement of the new "cashless Monopoly" game, brought me so far down the rabbit hole that I started calling myself a "conspiracy theorist," but the information is out there and I suggest readers click all the links and follow the information. So, how do we get from the cashless society push to 'Skynet'? Come on "Alice" jump in and lets explore. An ANP reader email led to a recent Washington Post article by Larry Summers, referred to as "the father of negative interest rates," by Armstrong economics, where Summers headlines with "It’s time to kill the $100 bill. This proves that withdrawing the €500 note in Europe and the $100 and $50 bills in the U.S. is all about taxes — not crime or terrorism. They are moving to end money as we know it. The problem is that the $100 bill circulates predominantly OUTSIDE the USA. They will take a step closer to eliminating the dollar as the reserve currency, and eventually we will end up with a new one-world currency as early as 2018 but probably by 2020. This is really part of the 2017 G20 accord to tax everyone everywhere. 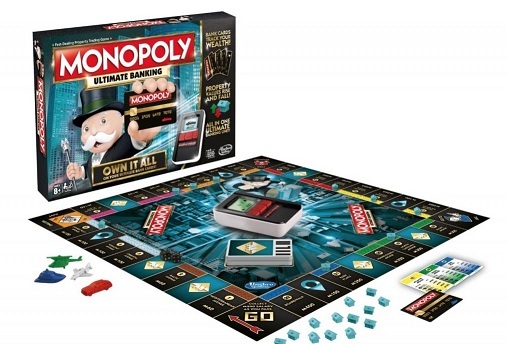 Following the other link in the reader email led to a Zero Hedge article about the new announcement of the "cashless Monopoly" game to be released in the fall, the Monopoly Ultimate Banking edition that uses a tiny ATM to keep track of every last financial transaction. I find it extremely perplexing that I have been the only one to report that there is a secret meeting in London where Kenneth Rogoff of Harvard University and Willem Buiter the chief economist at Citigroup will address the central banks and advocate the elimination of all cash to bring to fruition the day when you cannot buy or sell anything without government approval. When I Googled the issue to see who has picked it up yet, to my surprise Armstrong Economics comes up first. Others are quoting me, and I even find it spreading as the Central Bank of Nigeria, but I have yet to find reports on the meeting taking place in London when my sources are direct. 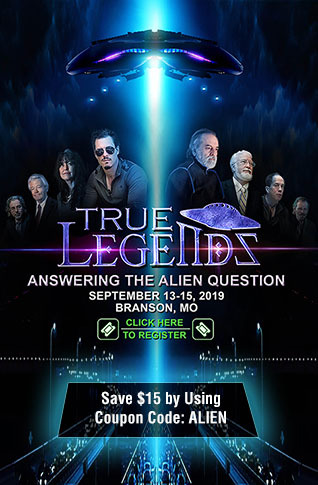 It was researching other avenues that were pushing this cashless society that started bringing up information that matched a completely different subject to which I had planned a separate article..... which was seemingly unrelated.... until I dug deeper. Research into other avenues that have been pushing for a cashless society I ran across an article at InfoWars from January 2011, showing that this "push" has been an insideous, ongoing implementation of a plan that at it's very core leads right to the U.S. government and the 'Skynet,' and that Facebook plays a part in it. According to a recent news release from Marketing Week, “Over the next five months developers will have to implement credits as a payment method within their games”. The games industry already accounts for 70% of the virtual goods transactions on the site. What appears on the surface to be a simple online marketing tool to help consolidate a niche market share on the world’s largest social network, has in fact much more far and reaching consequences for hundreds of millions of users. What Facebook have effectively achieved here is nothing short of a huge “game changer” in terms of envisioning a world without cash. It goes further than just a cashless society though as we find another invasive technology pushed by Facebook and reported on in August 2012, called "facedeals," where cameras "mounted at a venue’s front door, scans and matches your face’s likeness to your Facebook profile, generating customized deals for your area according to your 'likes'. " 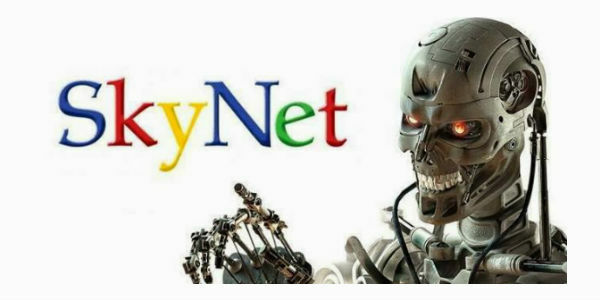 HERE LADIES AND GENTLEMEN is where the Cashless Society article and the 'Skynet' article met and became one. In response to my article from February 17, 2016, titled "Free Speech On The Internet Is Dead - Ideology? Or Are The Social Media Giants Actually On Government Payroll?, a trusted ANP source sent some background links and information over which provided ample evidence of a CIA/Google connection and a CIA data-mining social media connection, with further research finding a link between Facebook itself with the CIA. First and foremost readers should read part one and part two of Inside the secret network behind mass surveillance, endless war, and Skynet—by Nafeez Ahmed from January 2015. It is an outstanding piece of work and highly recommended by our source as well as ANP. As pointed out in a FORBES article from 2010, the CIA is also listed as a "start-up" for "social networking," where it states "Intelligence agencies are increasingly interested in mining open source intelligence. The proliferation of voices online, whether on social networks, blogs, or elsewhere can be challenging. That’s why it’s interested in Visible Technologies, FMS and StreamBase, all companies that promise to make sense of the massive amount of data flowing out of social networking and communication sites." Google Earth. In February 2003, the CIA-funded venture-capitalist firm In-Q-Tel made a strategic investment in Keyhole, Inc., a pioneer of interactive 3-D earth visualization and creator of the groundbreaking rich-mapping EarthViewer 3D system. CIA worked closely with other Intelligence Community organizations to tailor Keyhole’s systems to meet their needs. The finished product transformed the way intelligence officers interacted with geographic information and earth imagery. Users could now easily combine complicated sets of data and imagery into clear, realistic visual representations. Users could “fly” from space to street level seamlessly while interactively exploring layers of information including roads, schools, businesses, and demographics. In the private sector, this flyover capability was so compelling that multiple TV networks used EarthViewer 3D to fly over Iraqi cities and landscapes in news broadcasts using publicly available satellite images. 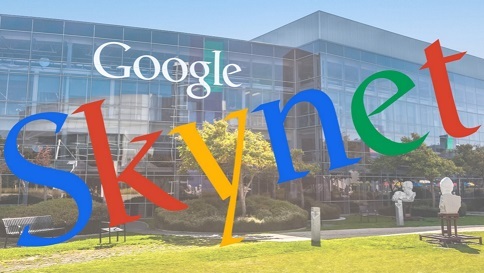 All of this acclaim eventually caught the attention of Google Inc., a multinational cyber-focused corporation, which acquired Keyhole in 2004, thereby laying the groundwork for the development of Google Earth. Other Google/government connections include Google and NASA working together on a lightning-fast quantum computer, with NZ Herald reporting "On the surface, the D-Wave 2X represents a quantum leap not just for computing but also for the field of artificial intelligence. In fact, Google refers to its work being carried out at Nasa's Ames Research Center as "quantum artificial intelligence". The same type of Artificial Intelligence that Stephen Hawkings warned could "end mankind," and that Elon Musk believes is the biggest existential threat to the survival of the human race and compared it to "summoning a demon." Another name that pops up frequently when researching the CIA's In-Q-Tel and that is Facebook, who is usually one of the first to push the U.S. government agenda, whether it is banning users or blocking sharing of those opposing a specific government plan, or the push for the cashless society, data-mining, the use of facial recognition software, even using their users as unwitting participants and guinea pigs in experiments, and countless other examples as shown in my previous article. Facebook received $12.7 million in venture capital from Accel, whose manager, James Breyer, now sits on their board. He was formerly the chairman of the National Venture Capital Association, whose board included Gilman Louie, then the CEO of In-Q-Tel. The connection is indirect, but the suggestion of CIA involvement with Facebook, however tangential, is disturbing in the light of Facebook’s history of violating the privacy of its users. Amazingly enough the government, whether in an attempt to mock those that believe in "Skynet' or just because they do not care how blatant they are anymore, actually created a program they named "Skynet," described in the following manner by New York Magazine, a program that "tracks movements and known associates, then an algorithm analyzes all that Big Data and flags potential terrorists to be targeted for drone strikes." 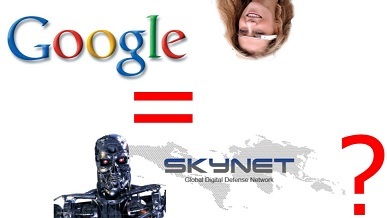 The connections are undeniable, with Google, Facebook, the CIA connections to both, the data-mining which is used from everything from the determination for a cashless society in order to track and monitor every penny spent to the use of data-mining to determine what targets to kill in other countries. We have to wonder when those labeled "right-wing extremists" aka patriots, Christians, constitutionalists, preppers, survivalists, evangelicals, etc..... those the goverment keys into their "Skynet" programs as "dangerous" will be targeted with drone strikes right here on U.S. soil? It is all about the "data" and who are the biggest networks that deal in data and data-mining? Google and Facebook.